B0798. 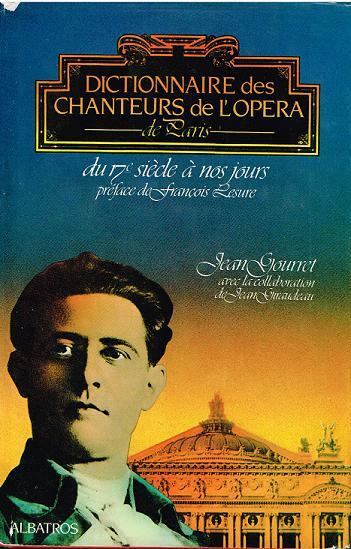 DICTIONNAIRE DES CHANTEURS DE L’OPÉRA DE PARIS. JEAN GOURRET. 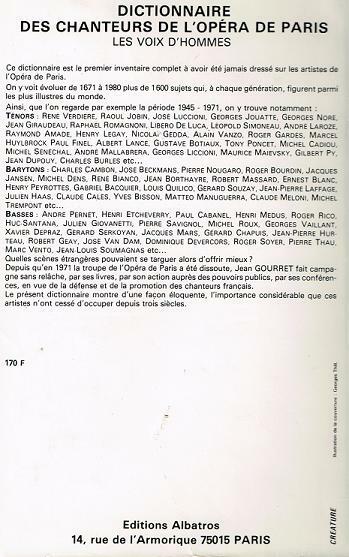 Paris, Éditions Albatros, 1982. 328pp. Index; Innumerable brief bios; Photos; DJ. (French Text).